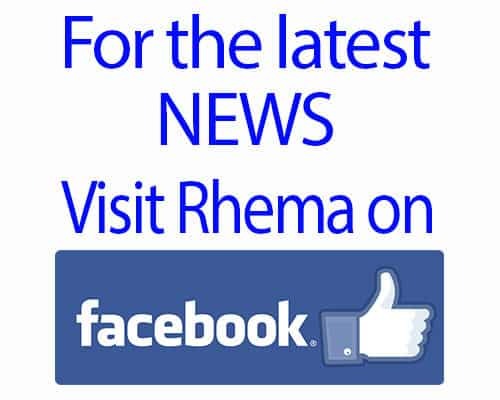 Rhema did so well during her cast removal. I hugged her but she did not struggle or cry, even with the loud sound from the saw. We took precautions and put in her ear plugs; the noise did not seem to phase her. She only got a little upset when they revealed her feet and she saw the “beads” sticking out of her feet. 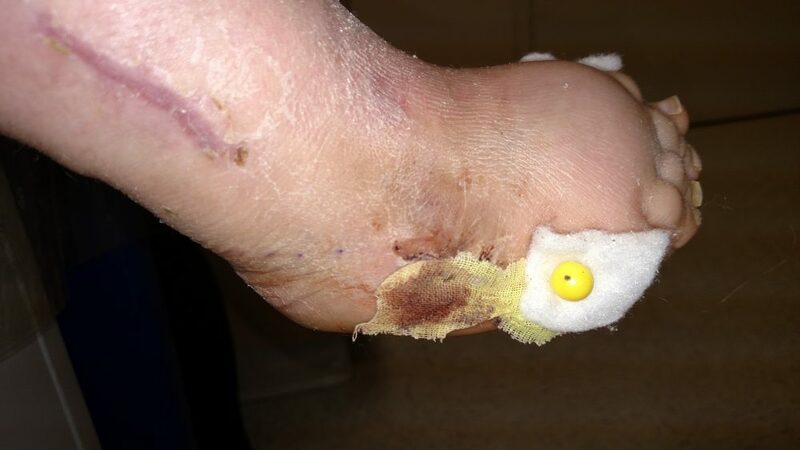 We did not know but the pins were still in her right foot, so there was no way to prepare for that little surprise. The doctor and nurse Tec began pulling them and she said “ouch” once. But with them pulling all the pins she did not cry or jerk away. Daddy and Mamma had more of a rough time; I’m still feeling shaky from it. We always retain our composure with her in the room. After we got her back in the van and eating her lunch tray, dad and mom took a few moments to stand in the cold and settle down. I personally am still struggling with how her legs look and the whole pin-pulling process. 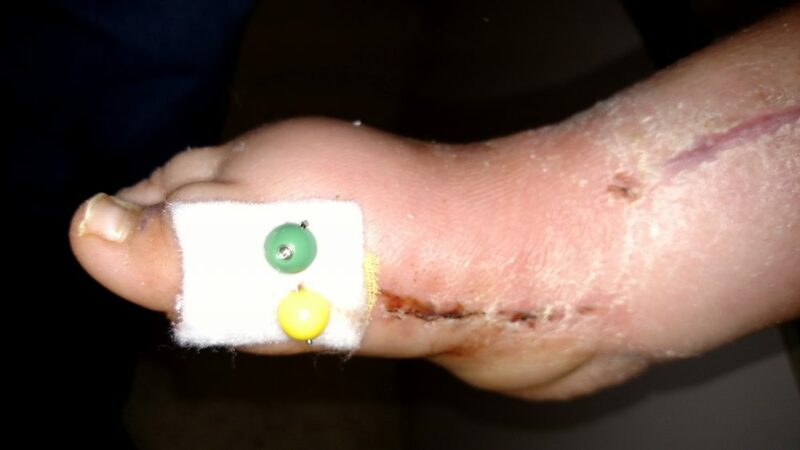 Here she is right after they put on her gauze over the foot that had the pins pulled. You see, she is still smiling. She always smiles. We are so blessed to have such a patient, precious kid. I’m the one who could be crying and screaming right now. Lol! We got into the van and was still in the parking deck (I’m still trying to comes to grips with all that transpired) and Rhema says, “Mom, you are a goofball”. Just out of no where. “Mom you are a goofball and a fancy carrot”. Lol! No reason. No rhyme. Just made me burst into laughter rather than tears. I love this little girl…… She is developing a really humorous side and right at that moment, I needed that laugh. So below this line are pics of her legs and feet………… If you do not want to see them, do not scroll down. 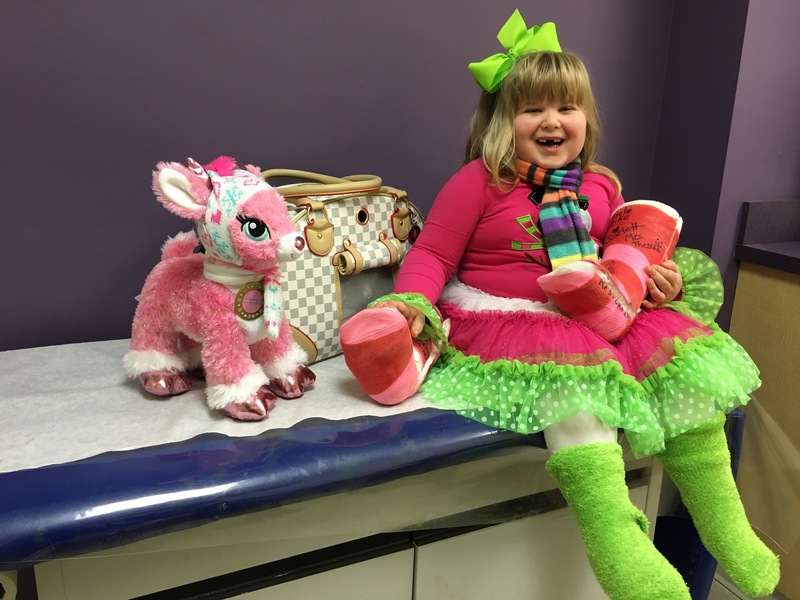 We’ve always said that we would share the good, the bad and the ugly — all shared to help other folks who have kids that will be having these surgeries. We know these surgeries are necessary. They are for her good. 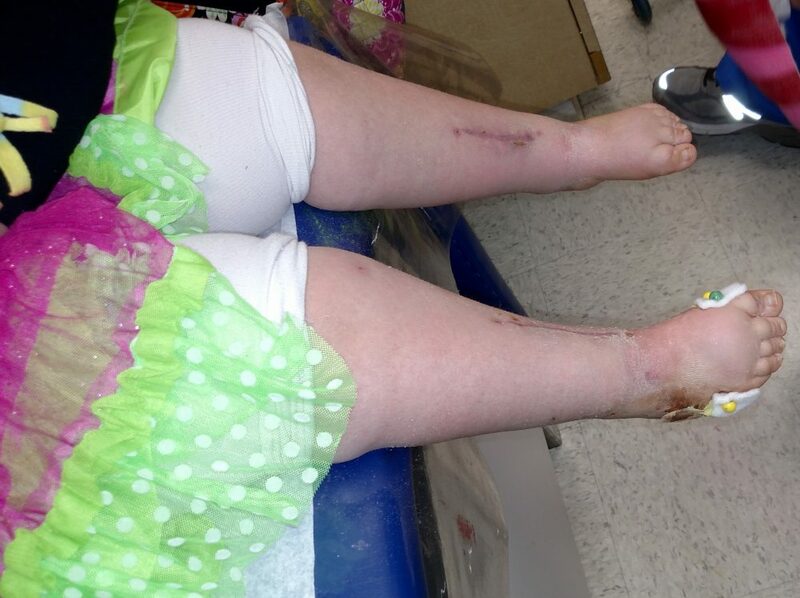 But knowing that does not make it much easier when you see your babies legs after a surgery. So, if you are a parent, I know what you are feeling. Just grit you teeth and smile. Be there for your little one and do not make the atmosphere scary for them; they take their cue from us. But do, later on, process your pain, hurt and sadness with someone you trust. I plan on spending some time with Jesus to night and leaning into the fact thet He is near to me– the broken hearted. I will also spending time in prayer for another local family who lost their child to cancer today. My heart breaks in so many ways today…. I’m grateful to my God that He is ever present and with us through all of this. So here are her feet and legs………. Cast Coming Off In A Few Minutes!